Happy Friday! I pray that God blessings each and every person reading this blog. 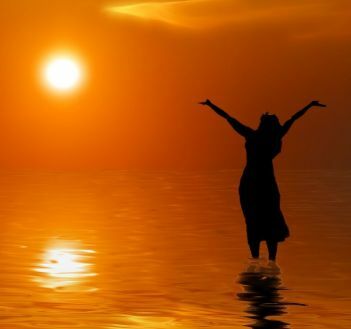 Decree and declare that today will be a great day in the Lord. A smile is something that is so small, but it can have a major impact on other people’s lives. Your smile can make someone elses life exceptional. Your warm friendly smile can change a person’s entire mood and outlook on life. A smile is free. A smile doesn’t require much, but it demands sincerity. A smile is simply making individuals lives exceptional. I love-making people smile and I love smiling. God has given us so much to smile about. I dare you to turn that frown upside down and smile. Be sure to show some teeth. Those big smiles are the best. Smile so big and bright that everyone can see the light of Christ through your smile. What will you do today to simply make individuals lives exceptional? All you have to do is SMILE! Have a blessed and wonderful weekend. I hope I run into you and share a smile! Good Morning! It’s Wednesday. Praise the Lord for reaching the middle of the work week. Prayer is our connection with Christ. This is our internet connection, telephone line, satellite connection, and so much more. This is how we carry our concerns, desires, praise, adoration, struggles, petitions, and so much more to Christ and He carries them to God. Don’t take the power of prayer for granted. More time should be spent in God’s lap seeking to do His will and not our will. The more time we spend talking to Christ the better equipped we are to hear from Him. There are too many times when we think that prayer is always us talking. Sometimes we should just sit and listen to God. Go to Him knowing that you can’t do anything without Him and that you come ready to hear from Him. We should seek to intercede on the behalf of others. We should seek to reverence God for who He is. We should come yearning to be more like Him. Prayer changes things. I pray that you take time searching the bible on the subject of prayer. It’s a powerful thing when you tap into the spiritual connection. If you are not saved you are currently disconnected from Christ and He is only a confession away. It’s time to pay your spiritual telephone bill to Christ and give your life so that He can hear your plea. Have a blessed prayer filled day. I am only who I am because someone prayed for me and had me on their mind. Mother’s Day is only 12 days away. Share the gift of inspirational poetry with your mother, grandmother, aunt, sister, cousin, friend, neighbor, or boss. Being a mother is a full-time job filled with joy, pain, sorrow, and blessings. Share a gift that will offer her hope, understanding, and encouragement. You purchase in person or order through PayPal. Give a gift that your mother will appreciate. Good Morning. Happy Tuesday. I pray that everyone had a blessed Easter. I pray that you spent time reflecting on the resurrection of Christ and how He made the ultimate sacrifice for you. I pray that you have a blessed and productive week in Jesus name. 1Praise the LORD, my soul. LORD my God, you are very great; you are clothed with splendor and majesty. Many of you know that I am currently in Grad school, working mother and wife, and active in ministry at church and outside of church. I’m a busy lady. Sometimes I am guilty of becoming a little overwhelmed by the task that lay before me, than God takes me to Psalm 104. I pray that you will read it in its entirety and make it a regular part of your devotion. I am reminded that God is a sustainer. God made the clouds in the sky, the angels spirits, he laid the foundation of the earth that it would not move, he placed the bodies of waters and mountains in their proper places, he causes the grass to grow to provide food to the animals who gain nutrition from it, he allows the birds to fly high in the sky and find rest in their nest, he appointed the moon for the changing of the seasons and keeps the sun far away from us that we don’t burn, He does all of this and so much more. God is the sustainer of life and surely if He can control all of this, He can help US manage our busy lives. What we deal with is small compared to God keeping us safe from elements larger than us. God is a sustainer. I love how He keeps me from dangers seen and unseen. I love how the earth is my play ground as long as I take care of it. God keeps us all safe and provides for us in ways that we often take for granted. The next time you begin to get overwhelmed by life’s struggles, remember all that God is doing around you. He is a sustaining force that seeks to protect you and provide for you. He loves you. Have a blessed day trusting in the Lord and knowing that He is a sustainer. Good Morning! Happy GOOD FRIDAY to you all! I pray that you have a blessed Easter weekend. Remember Easter is not about a bunny hopping around passing out colorful eggs, it’s about the sacrifice that Christ made for us. He carried our sins to the cross and died, but HE got UP!!!! What’s so good about this day anyway? Yeah the sun is shining, but what else is new? Possibilities of living with Him one day for all eternity. Good Friday, is good Only if you believe. Have a blessed Good Friday. Remember Christ died for your sins and mine. 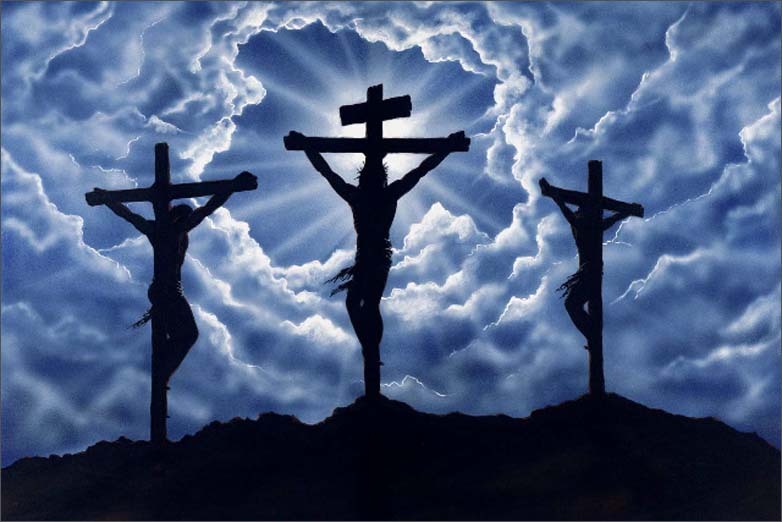 He could have come down from the cross, but He stayed there for you and me. I don’t know about you, but I am thankful for that Good Friday that Christ had me on His mind and chose to stay and fulfil the prophecy. If Christ came down, I dread to think about where I would be. Share the passion of Christ with others. He loves us so much that He endured so much pain. Christ had to die in order to conqueror death, hell, and the grave for you and me. Oh the blood! Have a blessed Good Friday and a wonderful Easter Sunday. Remember Christ died, but HE GOT UP!!! Good afternoon! Happy Wednesday. Please forgive me for not posting a blog on Monday or Tuesday. I’m coming to the end of my first semester of Grad School and I am swamped. Remember to always find time to do your daily devotions and to pray. Remember to keep God first in your life and everything else will fall into place. 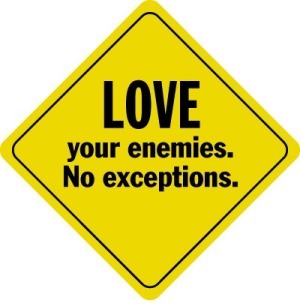 Love your neighbor and your enemies, is easier said then done. It’s easy to love those who love you back, those who treat you right, those who are courtesy and polite. However it is difficult, not impossible, but difficult to love people that you don’t know and especially the ones you don’t like and they don’t like you. When it comes to love we have to follow Christ example. He is the greatest example known to man. While we were still wallowing in our sins, Christ loved us. He loved us when we didn’t even like Him or accept Him. Surely if He could do it, than we can do it. Christ demonstrated His love for those who mistreated Him by asking His Father to forgive them. We can learn to love others by praying for them. I know you are probably saying, why should I pray for those people who are mean and nasty it will just be fake? It’s not fake if you seek to be like Christ. You have to start somewhere. Loving each other does not come naturally. We have to tap into our connection with Christ in order to show love to others. We have to first ask God to work on us so that our heart will change towards the people we are praying for. You will have to pray until that prayer becomes sincere and genuine. Love your neighbors by treating them how you want to be treated. Treat them how you would treat Christ if He was sitting right in front of you. Honestly, you never know when you could be entertaining angels, so you should treat everyone with dignity and respect. Love your enemies and pray for them. Demonstrating love can be challenging, but with Christ’s help you can love someone out of a bad mood. You can love someone back to a happy place. What can you do to demonstrate your love for your neighbors and enemies? How can you change your attitude towards people that mistreat you, lie on you, abuse you or even use you? 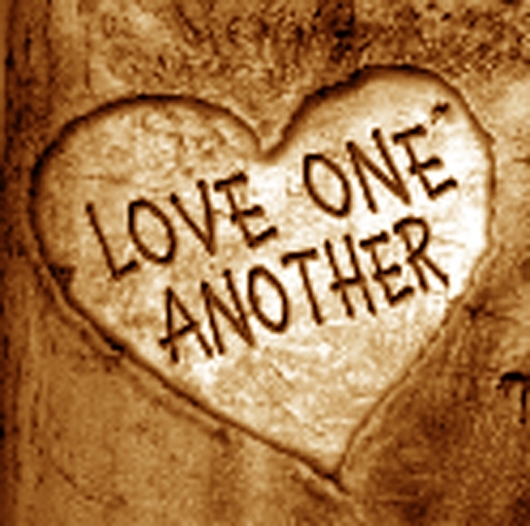 Take time to examine how you can work on loving others. Instead of asking God to change people, ask God how He can change you to love others in spite of how they treat you. Have a blessed day. Love is a sweet treat. Share it with everyone that you know. W.I.N. Worship is Now-TONIGHT at 7pm!!!! 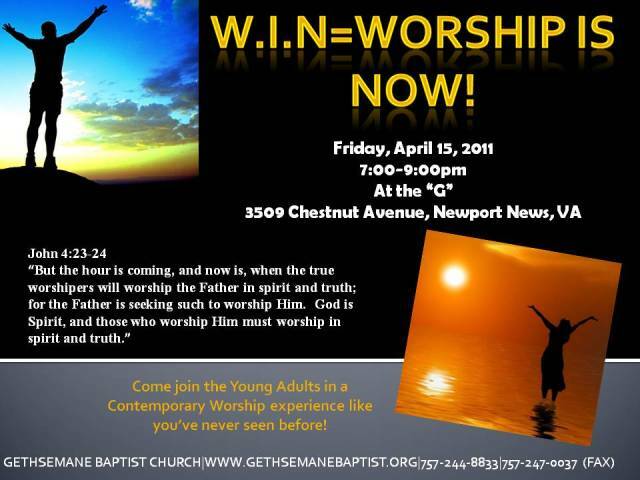 Join the Young Adults of Gethsemane Baptist Church in a night of worship. Bring your instruments of worship; streamers, flags, your voice, your open heart, your willing spirit, your tambourine, the movement of your limbs, there is no holding back tonight. God is calling on the true worshipers, are you one of them? Young to seasoned, churched and unchurched, saved and unsaved, member and non-member. Child care will be provided for FREE! So there is no excuse not to worship with the Young Adults of GBC! We are expecting God to show up in a mighty way. Invite 10 people to come to W.I.N. TONIGHT! Good afternoon. You have been blessed with two post today. God is good. 1 Let every soul be subject to the governing authorities. For there is no authority except from God, and the authorities that exist are appointed by God. 2 Therefore whoever resists the authority resists the ordinance of God, and those who resist will bring judgment on themselves. 3 For rulers are not a terror to good works, but to evil. Do you want to be unafraid of the authority? Do what is good, and you will have praise from the same. One with authority has the power to determine, adjudicate, or otherwise settle issues or disputes; not start the disputes. An authority figure has the right to control, command, or determine policy or procedures, but not dictate their way on everyone and every decision. An authority is a person or body of persons in whom authority is vested; this can apply to spiritual leaders who should have the well-being of the group in mind and not selfish agendas. As an authority one is an accepted source of information, advice, etc. and not a source of gossip and backbiting. As an authority figure one can be perceived as an expert on a subject, but it doesn’t mean they know it all and can’t learn from others. An authority figure is a persuasive force, but shouldn’t use that voice to discourage people or mislead people. As a Christian authority we are to serve as testimony or witness to Christ and not as a disgrace to His name. We are responsible for respecting the governing authority, in our homes, at our jobs, in our churches, in the government, and more. Some authority is appointed by man and some appointed by God. However, we are to respect and submit to authority. If the people in authority seem misguided, respect them and pray for them. We must pray for our leadership. If leadership is going against your morals and ethics then you pray for God to lead you. When we follow Gods command, He has a way of stepping in and shifting the atmosphere and all you have to do is be obedient to God. If leadership is crazy at your job, trust God and watch Him change things. If leadership in your home is all over the place, trust God and follow His lead. Stay prayed up and watch Him lead you in the right direction. Sometimes God allows people to remain in authority long enough for Him to use someone they are leading to change them. Let God lead your life, follow His instructions to be submissive to the governing authority. Don’t compromise your beliefs in God and don’t do anything that would go against God. If the governing authority is not right, God will take care of them. We all have to be mindful we must ALL submit to authority. Even if you don’t like the authority that is governing over you, you must submit. Ask God to help you as you work with them. If you need to follow anyone, always follow God and He’ll take care of the rest. I pray that this encourages someone today. God has a way of making sure He gets the glory. Trust Him and follow His instructions. Good morning! It’s a beautiful day to be a child of God. I pray that you are having a blessed week. There is good competition and bad competition, but when it comes to ministry we should never compete with one another. When you serve in a ministry you make up a body part that works to help the body of Christ operate. We all have unique gifts that contribute to the kingdom of God. When we begin competing with one another dissention, jealousy, anger, envy, spite, backbiting, murmuring, and complaining begin to form. We should not look at the ministries that we serve in as better than another ministry, we should look at how our ministries can all work together for the common good of the kingdom. It’s not about who sings better, who prays better, who dances better, who preaches better, who ushers better, who reads a scripture better, or any of that, it’s about coming together with a sincere heart and serving God’s people so that He will get the glory. When competition enters into the ministries than we begin stifling someone’s spiritual walk. They may have joined your ministry to get better connected with God and then our competitive spirit causes them to adapt some bad habits, attitudes, and behaviors. Ministry and competition don’t mix. Stop competing with your brother and sister in church. When we walk around with a selfish attitude we hurt the body of Christ. We all serve the same God so why are we competing? It’s time to spend less time tearing one another down with competition and begin working with one another like Christ has called us to. We are many members, but the same body. Food for thought: Do you find yourself developing a “My ministry is better” attitude? Do you put down other ministries in order to boost your ministry up? If you do then you are too competitive for ministry. Time to get back to the basics and seek God on how to be humble, meek, and mild. It’s not about us, but about God and His business. P.S.-Today several blogs will be posted as God has released several messages of encouragement, inspiration, conviction, and motivation today. Good morning! Happy Tuesday to you all! I pray that your weekend was a blessed one. 8 If I ascend into heaven, You are there; If I make my bed in hell, behold, You are there.9 If I take the wings of the morning, And dwell in the uttermost parts of the sea,10 Even there Your hand shall lead me, And Your right hand shall hold me. Yesterday my system shut down at work. Nothing was operating correctly. This caused me to spend some quiet time reflecting on my Savior. People say that technology is the future, but I am reminded that JESUS is the future. Everywhere you go technology is evolving, but Jesus is the same yesterday, today, and forevermore. Jesus is always around you. Where can you go that Jesus is not with you? No where. I like that. I like that there is no escaping God. Even when the world tries to pull me away from Him, God is right there to guide me in the right direction. Technology is great, but it can’t replace human beings. We have to make sure we don’t become crippled by technology. Don’t become so dependent on technology that you forget how to perform the basic task in life. Technology will shut down and break down, but God will not. When the internet is down and you can’t check Bible gateway, you better read from the Bible. When technology breaks down and you can’t access the gospel music station on Pandora, you better remember that old hymn and begin singing to the glory of the Lord. Technology will shut down, but God will never shut down. Aren’t you glad that you can call Him up whenever you need Him? Spend more time with God and hide His word in your heart. When His word is in your heart you won’t need technology to pull up that scripture, prayer or promise. Rely on God and not the things of this world. Technology is good, but Christ is better! Put your hopes in Christ.